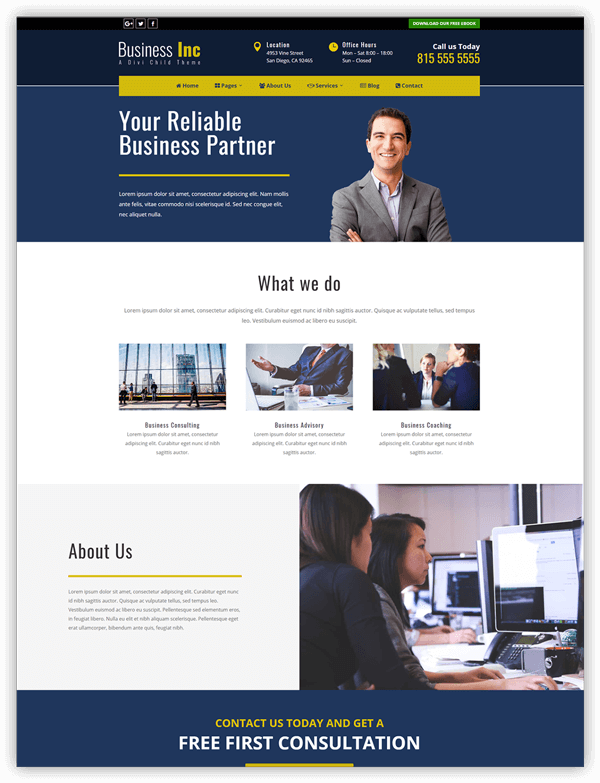 You can use Mr. Fixer for many types of niches but it is especially suitable for any local business type websites. 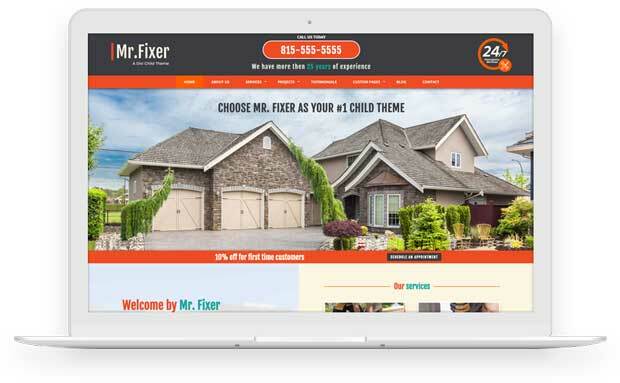 Mr. Fixer has some special features that really bring your site to life. 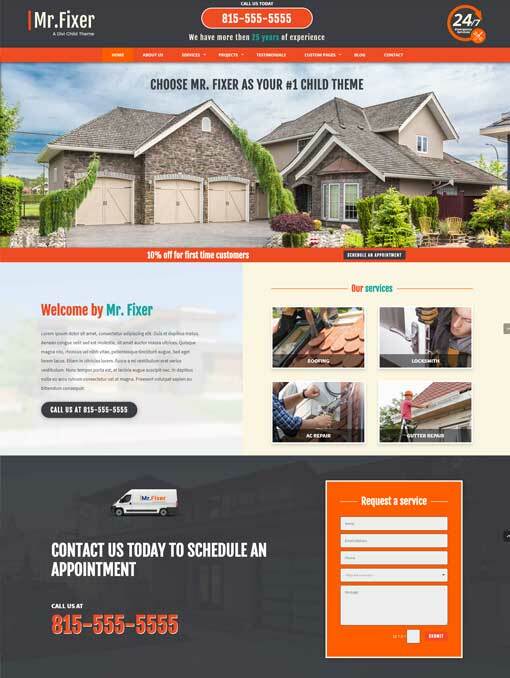 Mr. Fixer comes with a custom top header section and a fixed scrolling bar with a cta button. This way your visitors have an easy way to see your special offer. 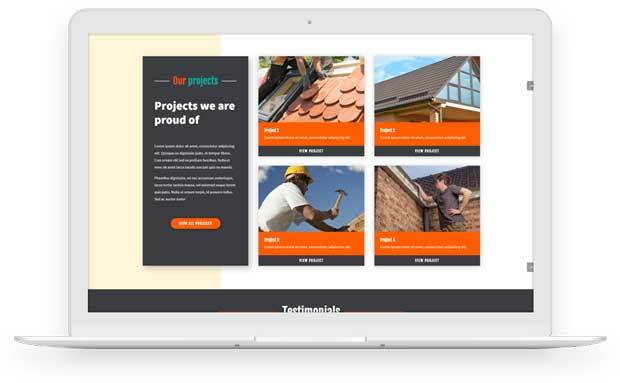 Your projects are important for your business and the Mr. Fixer design displays them in a beautiful way. 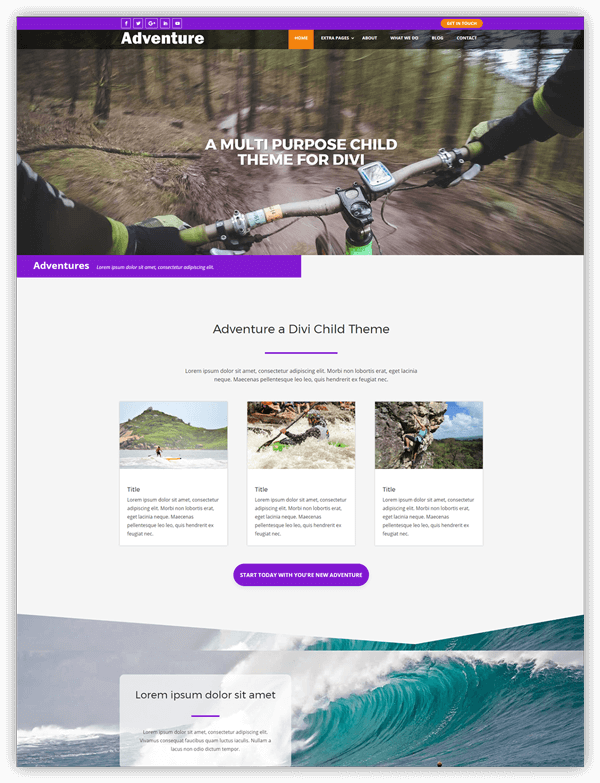 I really love all of Mark’s service themes, but this one looked lonely without any reviews so I figured I would let anyone that was considering this them know that it is well worth the investment. Mark also does a wonderful job of supporting his themes. 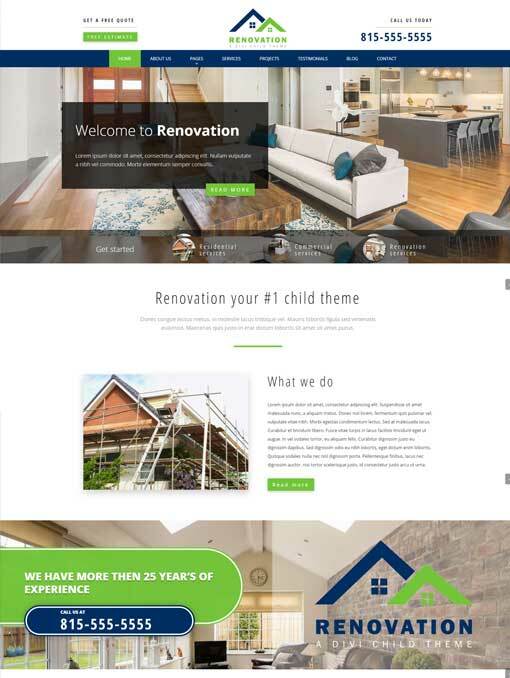 An excellent theme that works straight out of the box. No custom work needed. Displays well on all devices. Loads fast. Good buy.